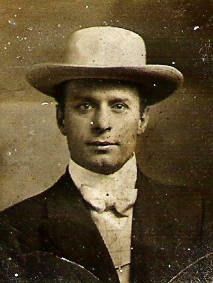 Pip was born in 1868 and in 1888 he married Minnie Carne (born 1869). They had 2 children (William Frank in 1889, Minnie Frances in 1890), but Minnie died of chronic alcoholism in 1899. According to the 1901 census, William was living with his maternal grandmother Mary Carne, but no other trace of him or his sister has been found so far. While married to Minnie, in 1893, Pip had his first child, Frederick, with 18-year-old Mary Fleming. 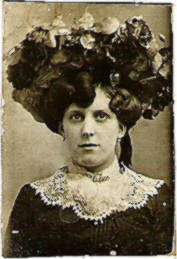 Mary bore him 2 more boys, Alberto in 1895 and Edward in 1896, but she left him for comedian Tom Leamore. Mary's boys were raised with the children she had with Tom Leamore, but it appears that Pip kept in touch with them and helped his sons financially. Henry Carne who was born in 1678 and also lived in Madron. Henry was Minnie's 4th Great Grandfather. their daughter Maria married Patrick Bronte. Elizabeth and son Patrick. So Minnie was a distant relation of the famous Bronte sisters. Lilian Chapman was born in 1882 and at the age of 15, behind her father's back but with her mother's complicity, she went to learn to dance with the John Tiller Girls. And at seventy-something, she was pleased to show me that she could still remember how to high-kick! If I remember my grandmother correctly, gentlemen would hang around the theatres to try and watch the girls rehearsing, and this was how Pip came to notice her. On August 2nd 1897, The Royal Zanettos appear at the Star Theatre of Varieties, Liverpool, and the Liverpool Courier reports the Tiller Troupe also performing in Liverpool at the New Empire Theatre with Fred Karno's comedians in Jail Birds. 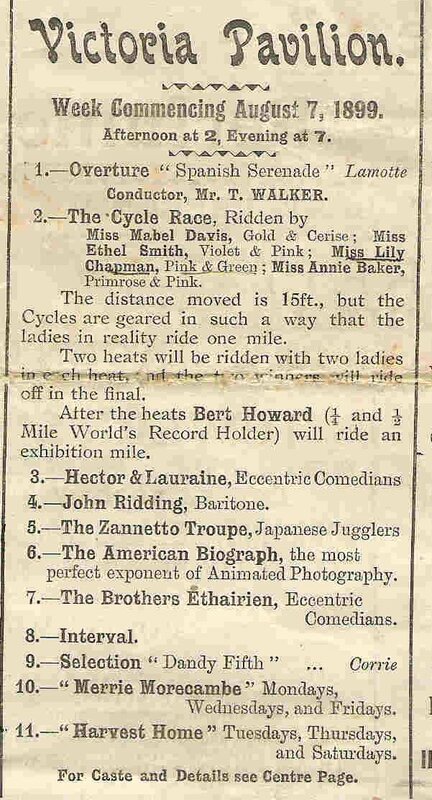 Then, in 1899 at the Victoria Pavilion in Morecambe, The Zanettos appear on the same bill as Miss Lily Chapman (her name is underlined on the original, not by me). The 1901 census shows Lilian Chapman as having a 6-month old son, Leslie Bale. She is still living with her parents but as Lilian Bale. Pip and Lilian had more children, eventually married in 1905 ... and had more children. The family story was that she married at the age of 17, but it looks like they had to wait until she no longer needed her parents' consent. 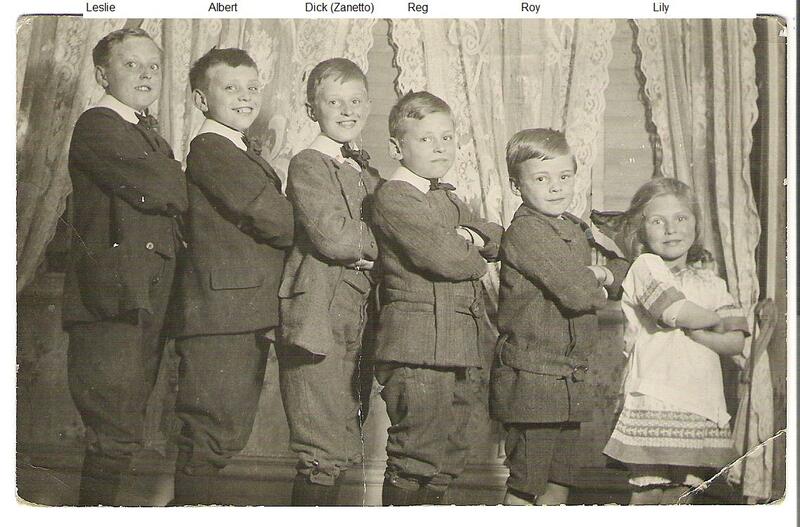 They had five sons before their first daughter Lily was born in 1908. The following picture was probably taken at Christmas 1913. When The Royal Zanettos were touring, Lilian would sometimes travel with Pip (see "The Zanettos in America" and "Lilian's Story"). The children were sent to boarding school, or other families were paid to take care of them. During his last trips to North America, people in the entertainment business were starting to take an interest in motion pictures. Lilian told me that Pip thought about investing in the business, but decided against it because he didn't think motion pictures would be successful ... He retired from the stage to become a full-time publican in 1913/1914. Their second daughter, my mother Winifred, was born in 1915 at The Tower, Westminster Bridge Road. She had respiratory problems, like many Londoners, and was looked after by Lilian's mother who moved in with them. 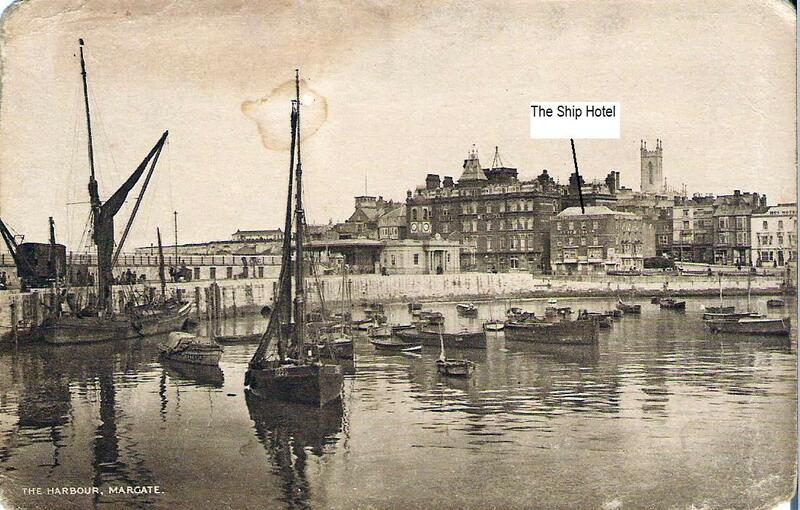 They stayed in London till the end of World War I, and then moved to The Ship in Margate, in the hope of a better climate and a different lifestyle. Business must have been quite good at first, because Pip also bought a small cottage on Fort Hill for his mother-in-law and 2 daughters to live in. 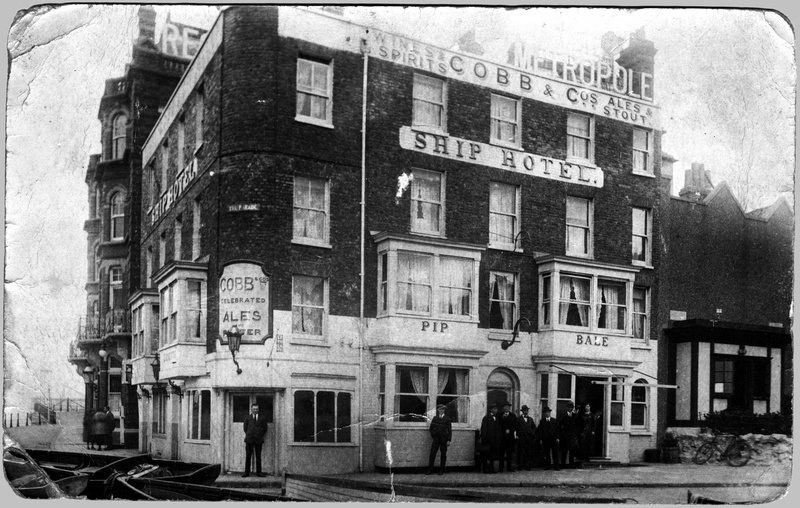 His second son Albert worked with his parents at The Ship Hotel, I don't know about the others. 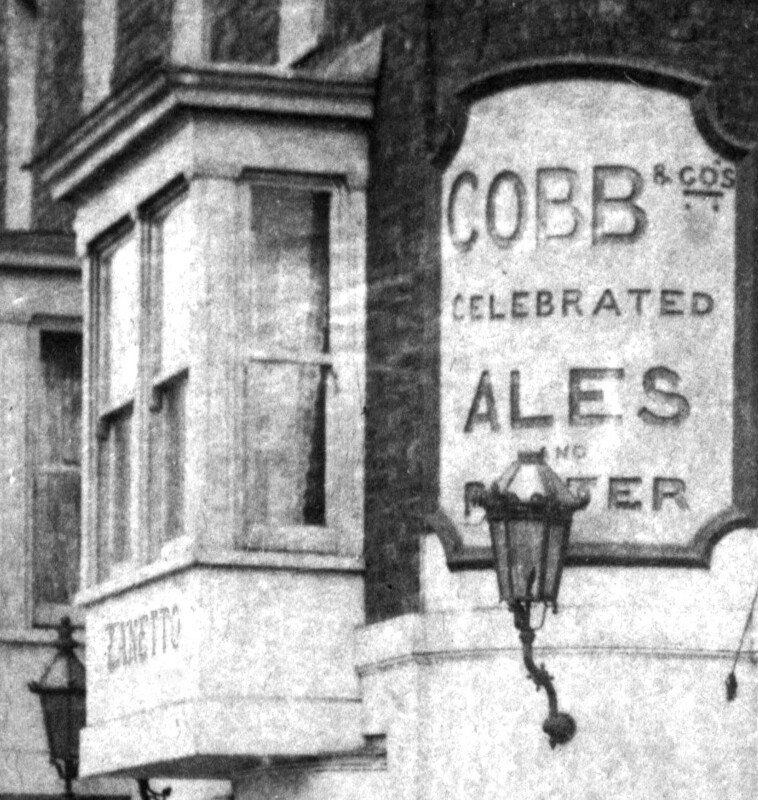 However, the business deteriorated as they were faced with a combination of two seasons of bad weather, an economic downturn, and problems with the breweries. Perhaps Pip and Lilian also lacked the proper management and financial expertise, because Pip eventually went bankrupt. He never owned another hotel or returned to the stage. 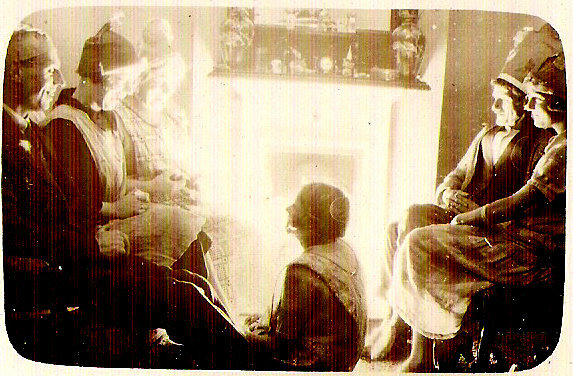 For a while, Pip and Lilian lived with their son Albert and his family in Barling, Essex, and perhaps Pip continued to take photos like this one, Christmas 1926. 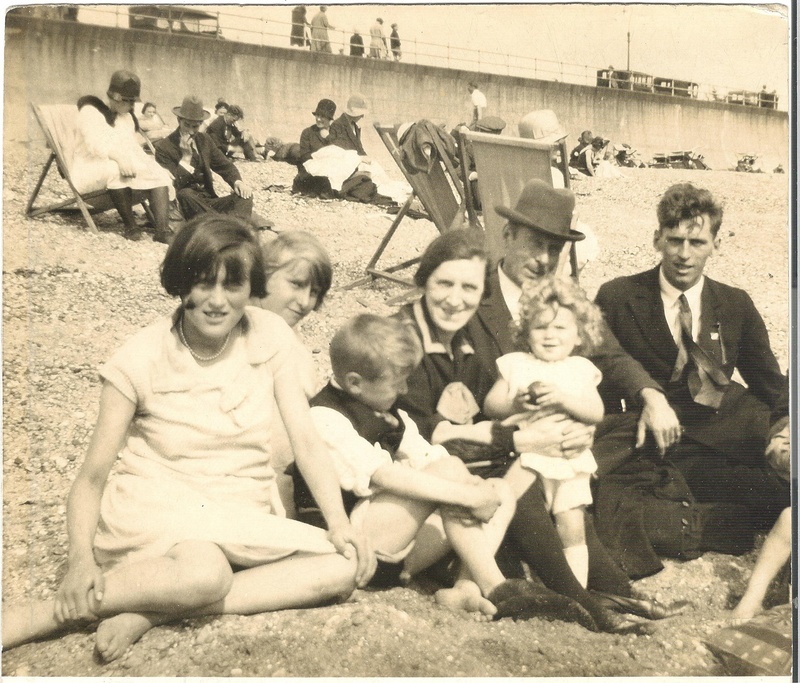 The next photo (not sure about location) shows Pip and Lilian with son Reg (right), daughters Winifred & Edna, and youngest son Harold. The child is probably their grandson Peter. 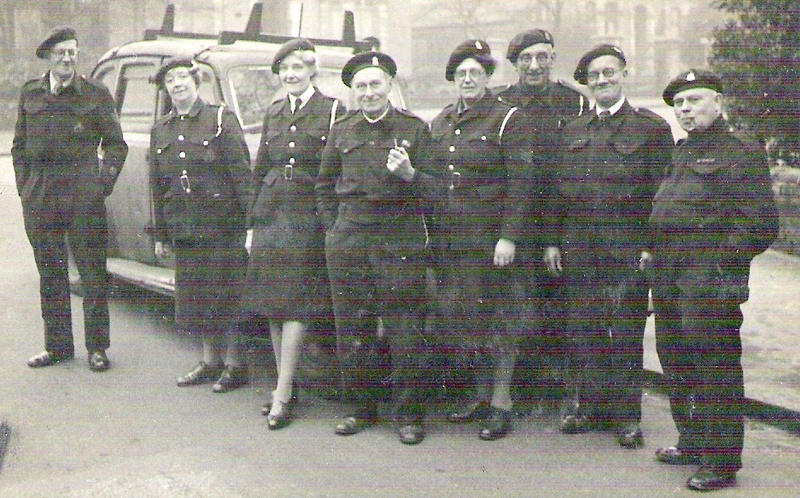 But they had been back in London for some time when the Second World War broke out, living in Spencer Park where they are photographed here with daughter Winifred. 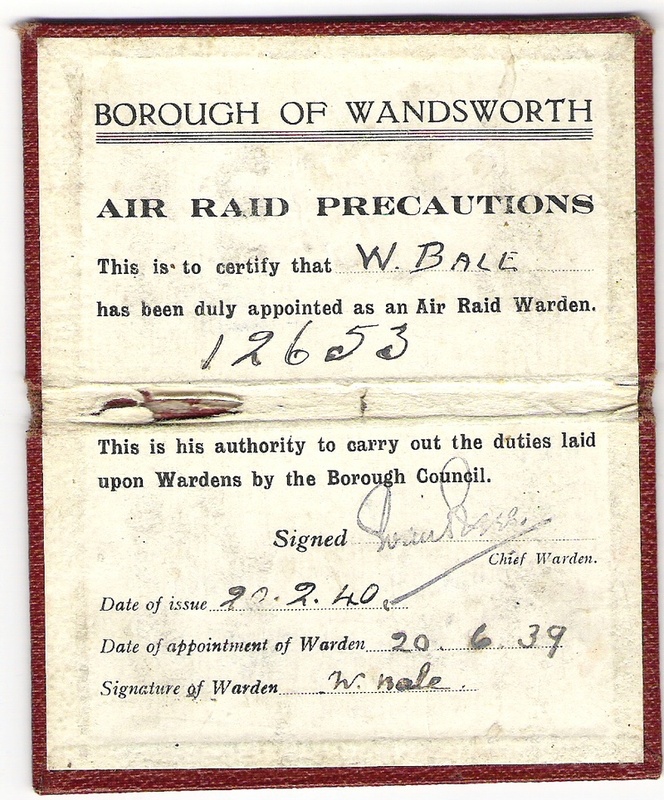 Pip was an air-raid warden during the war. He died in July 1949 and is buried in Wandsworth cemetery. 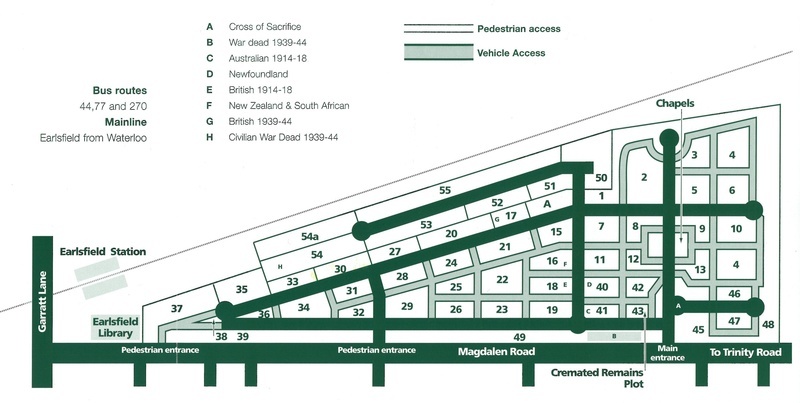 William Bale was buried in grave 260 on block 33, which is now underneath block 54 and 54a.